Mysteries are all about uncovering hidden truths. Archaeology is all about unearthing secrets of the past. Together they are a natural fit for an exciting story that presents a murder to solve and details about another time and place. Such stories have long been part of the mystery tradition from Elizabeth Peters’ Amelia Peabody in Egypt at the turn of the last century to Kathy Reichs’ Temperance Brennan at the beginning of our current century. Whether its forensic anthropolgy or straight up archaeology, these sleuths have a knack for getting to the truth by unraveling the past. As before with the discussion series, “A Taste of Murder” in 2011, and “Unusual Sleuths”—which concludes in March—I invite readers of The Poisoned Martini to join me online in sharing their love of mysteries. Comment on this post with some of your favorite archaeology inclined sleuths, and join me in reading the books selected for the “Unearthing Murder” series. 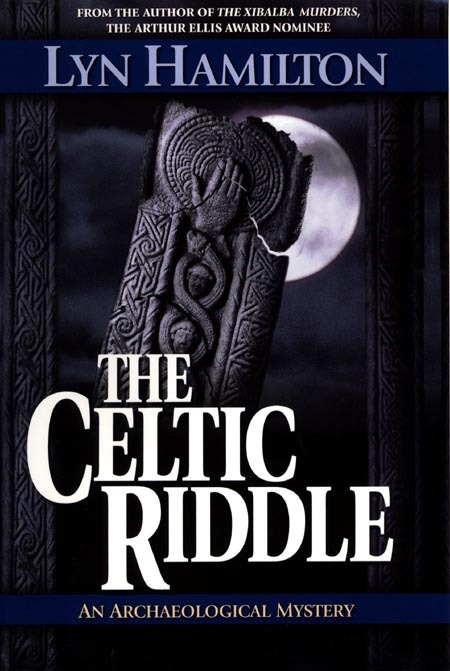 Then journey to County Kerry, Ireland, in May with Lyn Hamilton’s The Celtic Riddle. An ancient Celtic poem may hold the key to hidden treasure, but who would kill to reap such riches? Antique dealer and sometime sleuth Lara McClintock investigates in this 4th installment of Hamilton’s Archaeology Mystery series. 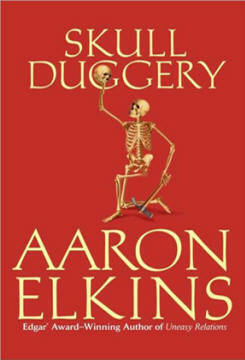 Things will heat up in June with Skull Duggery by Aaron Elkins. 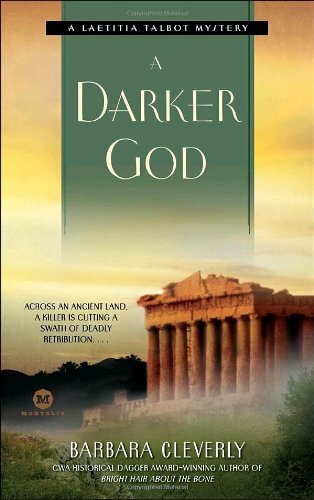 In this 16th installment in the Gideon Oliver series, a mummfied corpse is discovered in the Mexican desert. The coroner believes the victim was shot. Though on vacation, Gideon is called in to examine the skeleton. What he discovers is a series of medical examiner errors. Finally, in July, travel to post-Katrina New Orleans in Mary Anna Evans’ Floodgates. Archaeologist Faye Longchamp discovers a corpse too recent to be an archaeological find, but is this just another victim left in the wake of Katrina? Faye is soon drawn into investigatin the mruder of a woman who worked with rescue teams after the infamous hurricane. See what you think of these archaeology-themed mysteries, starting in April. In the meantime, don’t forget to check out previous discussion series, “A Taste of Murder” and “Unusual Sleuths“. Click on titles for the relevent book lists. And have you voted in the latest poll? What’s your favorite type of mystery to read? See the Mystery Subgenre poll along the right column. And as before, reviews for the books in the “Unearthing Murder” series will appear around the middle of the month for which they’re selected. Look for them and share your thoughts on these reads!